Slow cooking is simple and healthy, and you can add to that the fact that once the food is in the slow cooker, you can forget about it for hours, get out of the kitchen and on with your life- plus, your house will smell yummy and the food taste delicious! So we have selected a classic chicken casserole recipe to invite anyone new to slow cooking and its benefits to give it a go. And it's a great treat for the more expert slow cookers too! Have the chicken stock already warm and handy, and the wine at room temperature. Prepare the chicken by boning and chopping in halves. Slice the onion thinly, crush the garlic, wash the leek, fennel and carrots and cut them into chunks. 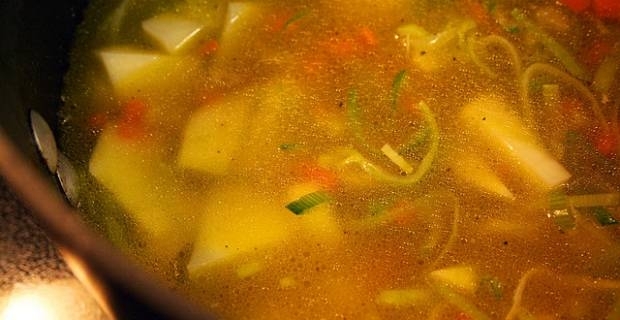 Wash the potatoes and slice them thickly, then lay the slices at the bottom of the slowcooker. In a pan, heat the olive oil and shallow fry onion and garlic. Then add the chicken and turn frequently for a minute. Remove from heat and put the chiken on top of the layer of potatoes in the slow cooker. Tuck in the thyme twigs on one side, then place the carrots and leek and fennel on top of everything. Drain any oil left in the pan, add the wine and reheat, scraping aroun dthe bottom of the pan with a spatula. Mix well then pour the content of the pan into the slow cooker. Top up with the chicken stock and switch on the slow cooker. Have it on high for the first 2 hours, then on slow for 4 hours more. You have hours to chill our, read your favourite author, listen to you favourit record... or play some more with your toddler! 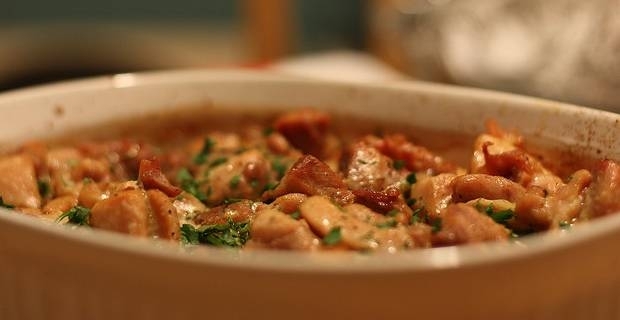 Try this delicious chicken casserole recipe to impress your guest on a Sunday, myabe twisting it up with red wine instead of white and a little bit of chilly.